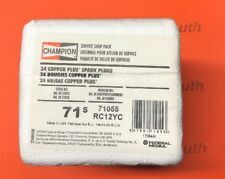 4 Genuine Champion Copper Plus Spark Plugs RC12YC. CHAMPION: RC12YC. CHAMPION: 71G. 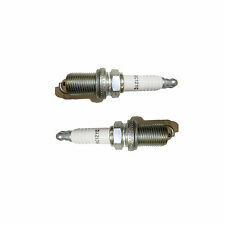 Spark Plugs Replace Used on the Lawn Mowers, Go Karts, Tractors That Require the RC12 YC Plug. BRIGGS & STRATTON GAS ENGINES -- Intek, Vanguard single cylinderOHV. 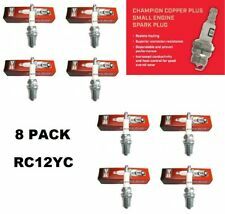 2 Champion Spark Plugs RC12YC. CHAMPION: RC12YC. BRIGGS & STRATTON GAS ENGINES -- Intek, Vanguard single cylinder OHV. BRIGGS & STRATTON: 491055. BRIGGS & STRATTON: 491055S. BRIGGS & STRATTON: 499608. JOHN DEERE: M78543. 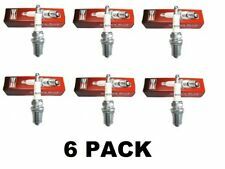 6 Genuine Champion Copper Plus Spark Plugs RC12YC. CHAMPION: RC12YC. KOHLER GAS ENGINES -- Command OHV, K series, 16.0/TH16, 18.0/TH18. KOHLER: 12 132 02. KOHLER: 12 132 02-S. Spark Plugs Replace. Champion XC12YC. Genuine Champion Part. Quantity of 2 spark plugs. Replace For DH212 Shindaiwa GT201 PE200 PE201. Replace OEM # A021000740, A021000741. K181 K241 K301 K321 K341. 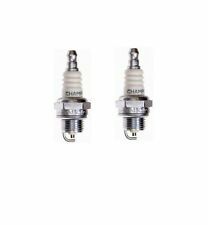 - Champion ® H10C Spark Plug. K181, K241, K301, K321, K341. Champion: H10C Spark Plug. Fits Kohler Engines Kohler: 47 150 03-S Breaker Points. Replaces these Kohler part numbers. Replaces Briggs & Stratton 496018S. Part Numbers: RCJ6Y, 852. 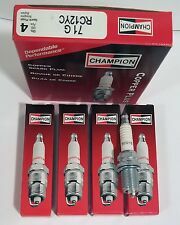 Lot of 4 New Genuine Champion Spark Plugs. ® spark plugs power millions of small engines including lawnmowers, tractors, snow blowers, chainsaws and leaf blowers. Quality Champion Spark Plugs. Champion Spark Plugs. Replaces Briggs & Stratton 591868 & 799876. 2 Genuine Champion J19LM Spark Plugs Small Engines. Tractors That Require the J19LM Plug. Champion stk 861. Make Sure This is The Plug You Will Need. Denso W9LM-US. CHAMPION: RC12YC. BRIGGS & STRATTON: 491055. BRIGGS & STRATTON: 491055S. BRIGGS & STRATTON: 499608. BRIGGS & STRATTON: 692051. BRIGGS & STRATTON: 72347GS. BRIGGS & STRATTON: 792015. BRIGGS & STRATTON: 805015. The RJ19HX has a fine-wire center electrode which creates a hotter/sharper/denser spark for easier starting. You may receive any item pictured. BRIGGS & STRATTON 796112, 796112S. Craftsman 802592S. CHAMPION RJ19LM. Briggs Part Number796112. Replaces the following plugs. 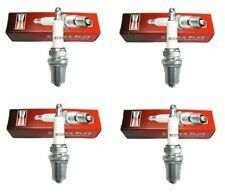 4 Pack Genuine Champion RCJ8Y Spark Plug Copper Plus 863. Condition is New. Shipped with USPS First Class Package. Trending at $12.96eBay determines this price through a machine learned model of the product's sale prices within the last 90 days. (799876 RJ2YLE) (Concept Copper Plus). Briggs & Stratton 591868 = 799876. Replaces B & S 591868 & 799876. BRIGGS & STRATTON 799876. CHAMPION RJ19LMC. Champion RJ19LM. Champion RJ19LM Spark Plug. Includes a resistor. 4 Genuine Champion H10C Spark Plugs. For The K181, K241, K301, K321, K341. Replaces Kohler # 25 132 10-S. Gap Plugs @. 035". For Sale: 2 Genuine Champion EZ-Start Spark Plugs, Part Number 5861. Fits many 2.5 - 12.5 HP Briggs & Stratton and Tecumseh engines. 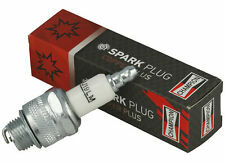 A very popular Small Engine / Lawn & Garden spark plug. 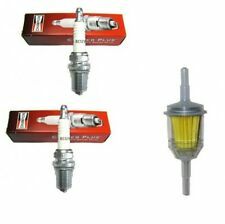 4 Genuine Champion CJ7Y Spark Plugs Small Engines. Tractors That Require the CJ7Y Plug. Champion stk 853. Make Sure This is The Plug You Will Need. Used on the Lawn Mowers, Go Karts . NGK stk 7321. A very popular Small Engine / Lawn & Garden spark plug, fits many 2.5 - 12.5 HP Briggs & Stratton and Tecumseh engines. BRIGGS & STRATTON PLUG PART # 802592 . 2 Genuine Champion CJ8Y Spark Plugs Small Engines. Tractors That Require the CJ8Y Plug. CHAMPION: CJ8Y. CHAMPION: 848. CLUB CAR: 1012522. CLUB CAR: 1012552. Make Sure This is The Plug You Will Need. POULAN: 952030078. Genuine, OEM Champion rcj4 sm eng spark plug, part# 893. 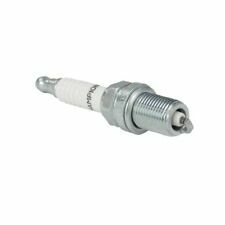 (1) Rcj4 Sm Eng Spark Plug. Part No: 893. Genuine, OEM Champion parts. Genuine OEM. Why replace it when you can fix it?. Save Money. Experts are standing by to help you. Champion 71 RC12YC. We represent many of the leading manufacturers of generators, air compressors, and industrial engines. See our full range. THIS COVERS MANUFACTURE DEFECT. WITHIN THE CONTINENTAL USA. NEW Genuine CHAMPION RDZ19H/940 Spark Plug ++FREE SHIP! NEW Genuine CHAMPION RDZ19H/940 Spark Plug. One(1) NEW CHAMPION RDZ19H/940 Spark Plug. We have done our best to provide information that we found on websites. The actual condition of the item may be different. 5 out of 5 stars - NEW Genuine CHAMPION RDZ19H/940 Spark Plug ++FREE SHIP! 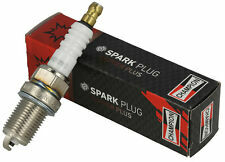 3 product ratings3 product ratings - NEW Genuine CHAMPION RDZ19H/940 Spark Plug ++FREE SHIP!